I know a lot of you will be playing Star Wars Battlefront today, but I'm going to be holding off a little while as the Commonwealth and the kingdom of Hyland are currently rumbling for my attention. That doesn't mean I can't go for some old-school blaster fighting in-between, though, and the PlayStation 4 and PS Vita have the perfect outlet for that. 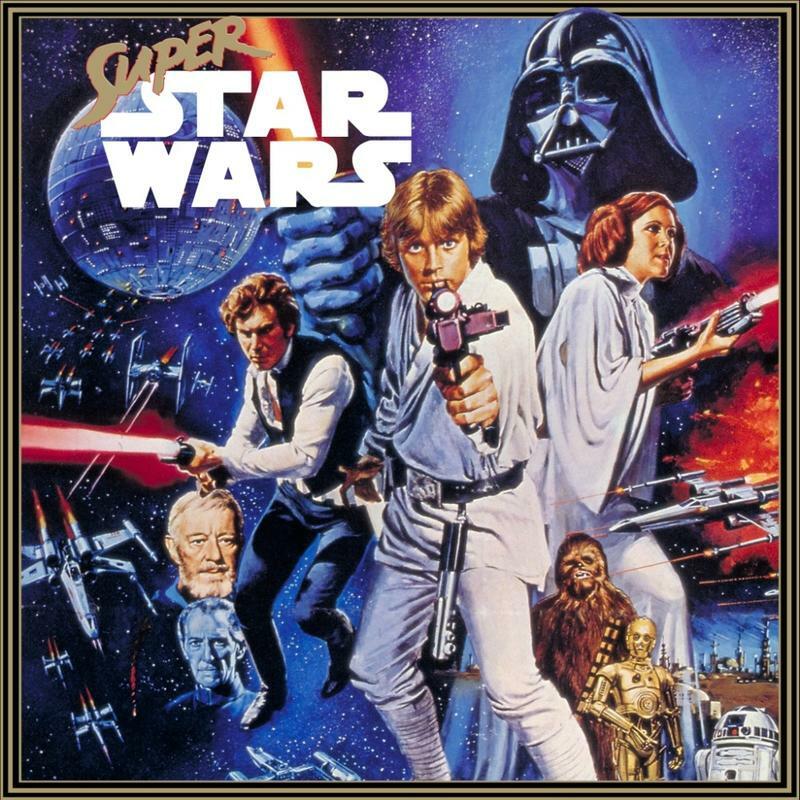 Super Star Wars! If ever there was an attempt to cram absolutely every single iconic image from the original film into a video game, this Super Nintendo classic was it! Even the holographic monsters from R2-D2 and Chewbacca's chess game appear as boss fights, and the Mode-7 Battle of Yavin destroyed what everyone else was doing with 16-bit graphics at the time. Even the box art above was fantastic! The trade-off though is that Super Star Wars is blisteringly difficult. After an initial intro level in which Luke kills the Sarlacc pit monster, he goes to war with the Jawas in his landspeeder storming across the dangerous sands of Tatooine where absolutely everything is out to kill him. I don't expect a lot of players to make it past level 2, but hang in there if you can. Super Star Wars is worth the pain of blasting through. Hopefully it does well, and LucasArts gets around to publishing the Super Empire Strikes Back and Super Return of the Jedi, which are light years better than Super Star Wars but not quite as iconic. This new release comes with all the amenities of modern day gaming, including leaderboards, save functions, and trophy support.